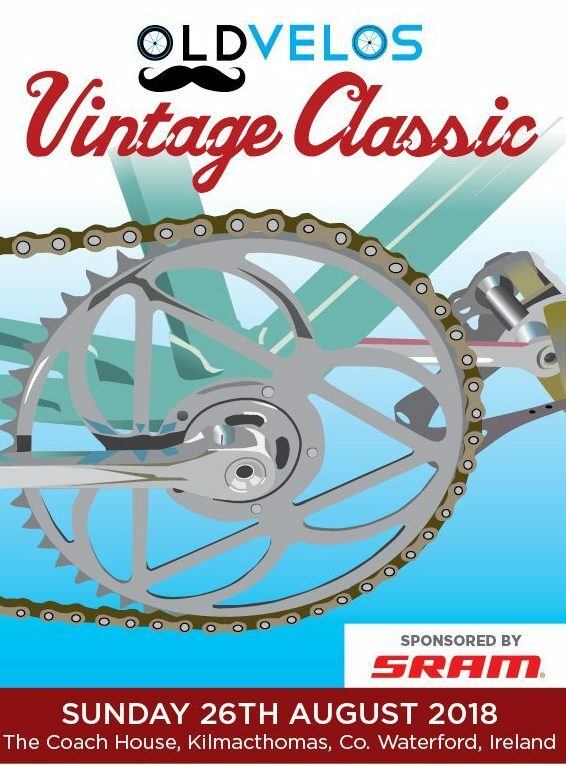 Come and see racing bicycles, tandem, tricycles, high nellies and cycling memorabilia from yesteryear at the OldVelos Vintage Classic on the Waterford Greenway on Saturday 25th and 26th of August. 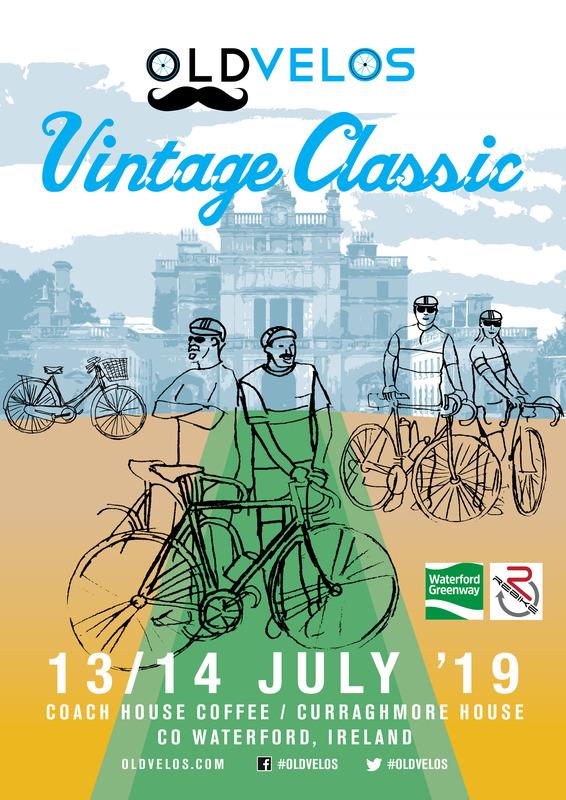 Located at Coach House Coffee & Waterford Greenway Bike Hire Kilmacthomas, the OldVelos exhibition and Concours d’Elegance is open to members of the public, passing cyclists and enthusiasts. There will also be prizes for best bicycles and best dressed cyclists on show from event sponsors SRAM, Ciao Bela Roma, Coach House Coffee, Legacy Irish Craft Cider, Metal Man Brewery and Flahavans. 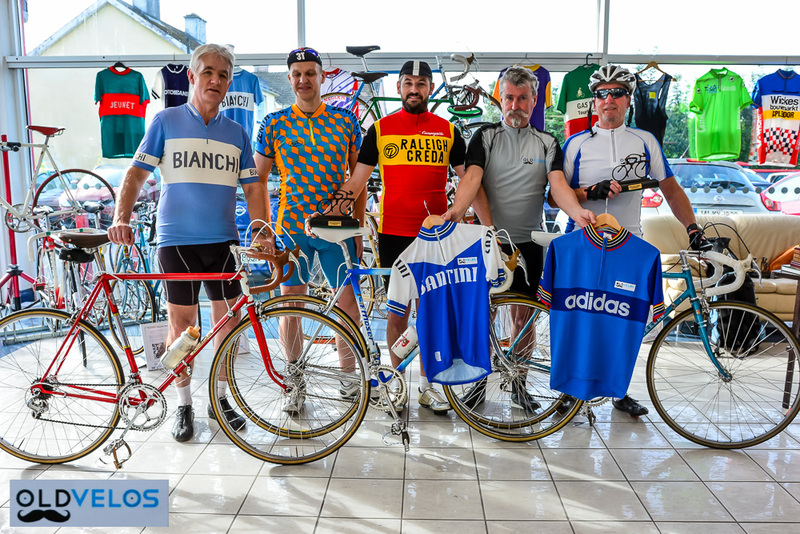 The expo of beautiful continental and Irish made racing bikes including historic Irish bikes and memorabilia associated with Sean Kelly, Stephen Roche, Shay Elliott and Gene Mangan will also be open all day Sunday but with the added bonus of a barbecue and bouncy castles at Coach House Coffee. Saturday 12:00 → 19:00 VeloExpo, Bike Jumble and ‘sign on’. Sunday 10:00 leisure riders depart. Please note all riders must ‘sign on’ in order to receive their goodie bag and to ensure insurance cover! For further information please go to www.oldvelos.com or visit OldVelos on Facebook.